Happy Tuesday! Can you believe its February?? Well,….Was it just me or did January feel like the longest month EVER!! Today I am sharing my top sellers from January. This is genuinely a slow month for bloggers when it comes to sales etc, but you guys did not disappoint! So many great pieces this month that you all seemed to love just as much as me. Did you purchase something this month that you loved? Make sure to send me pics of you wearing the pieces so I can share them on my Instagram! So let’s get on to the what you all were loving this January! 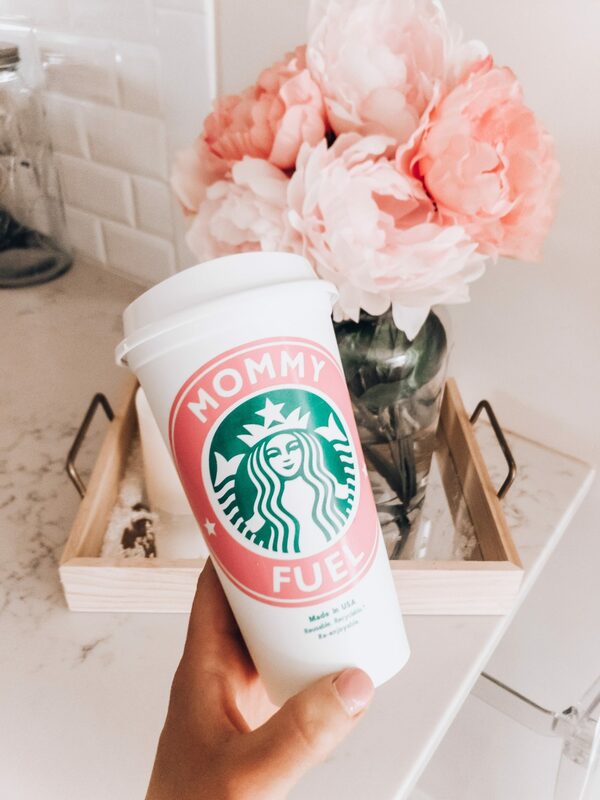 This Month you guys were all about the cute & comfy – I am right there with you!.I love looking over the analytics at the end of each month to see what you guys loved! You guys went crazy for these! Im not going to lie, I totally did too. I have three so these super cute cups. She even makes personalized ones as well. They make super cute Valentine’s Day gifts too! I am such a fan of this sneaker and so are all of you! Fun fact: Last year in January I purchased the white version and they were a top seller back then too. 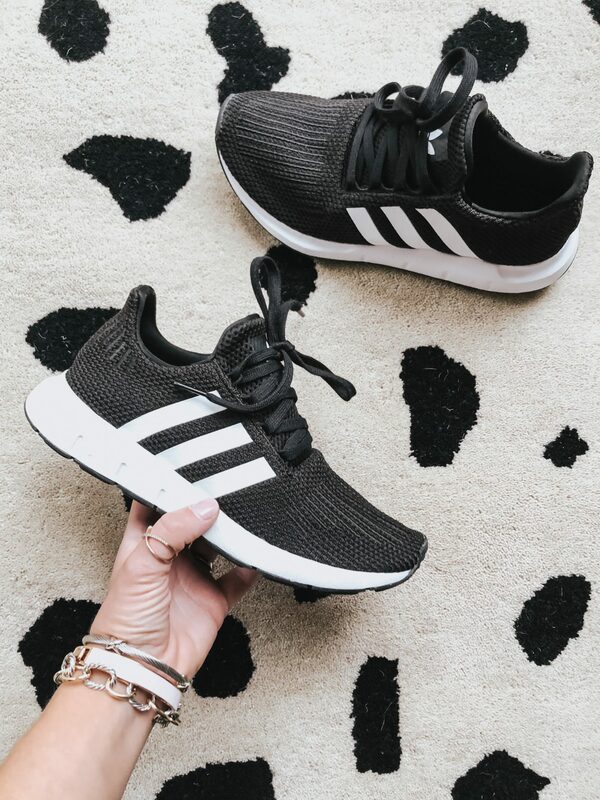 They are under $80 and the perfect everyday sneaker. I would size down a half size. This is such a great sweater. Its super soft, not too chunky, and the turtleneck isn’t bothersome at all! So many of you shared pictures of you girls rocking it too. My only regret is I wish I had sized down since it is oversized and runs rather big. These wouldn’t have made the cut, except when I shared last week that they were 40% off you guys scooped them right up! I finally bought the black pair this year since I had purchased the other two colors previously. These are seriously the BEST OTK out there! If you purchase them make sure to follow the sizing chart for your best fit. You guys ABSOLUTELY loved these! These might be one of my top 10 most purchased items EVER! I wear them all the time and really think they might be the most comfortable bottoms I have ever worn – No Exaggeration! I went with my true size and they fit great. Since they are a jogger and you want a looser fit, I would size up! I contemplated sharing this since it is currently sold out – I know…it stinks! However, I wanted to share it since it was a top seller this January. Loft is known for restocks so I will make sure to keep you all posted! I didn’t go with my usual petite in this sweater. Regular gave me more length which I liked. 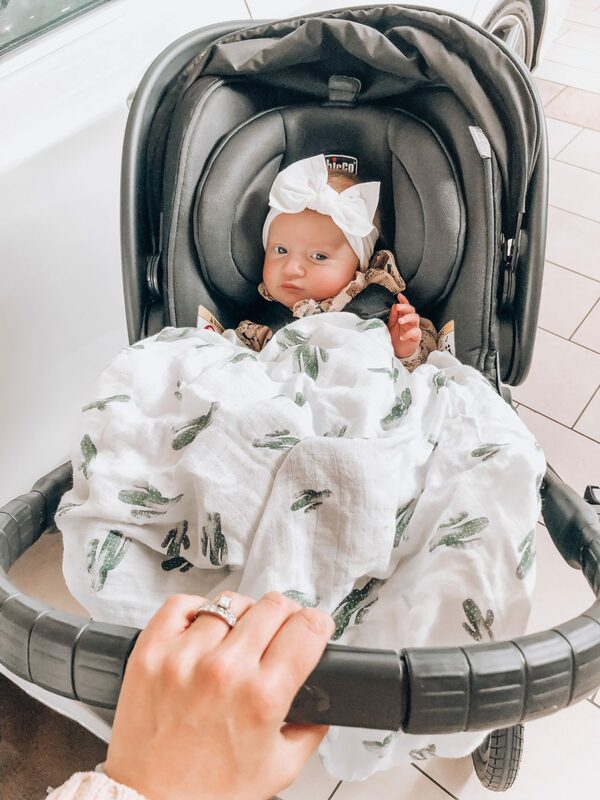 I get messages every day on what bow Madelyn is wearing….and 99% of the time its her BabyBling! I love them because they stay on and don’t leave any marks. They come in so many colors and prints too. She also looks super cute wearing them…..I mean, how can she not! How can you not love this top…Seriously, its so cute & comfy! I love the sleeve and the perfect throw on and go kinda shirt. If you haven’t checked out Red Dress Boutique you absolutely should. 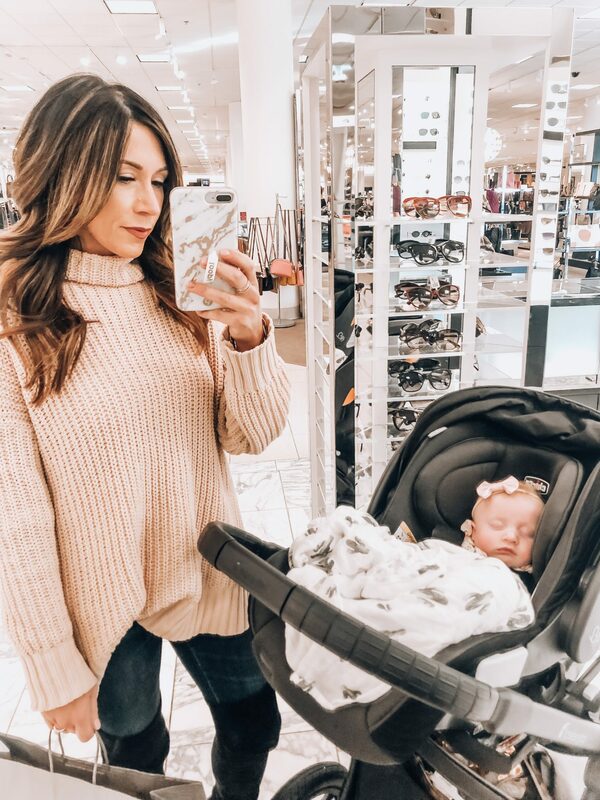 They are always rolling out the cutest new arrivals. I am beating myself up for not purchasing these sneakers sooner! If you were one of the many girls that snagged them too, I am sure you are thinking the same – am I right?? 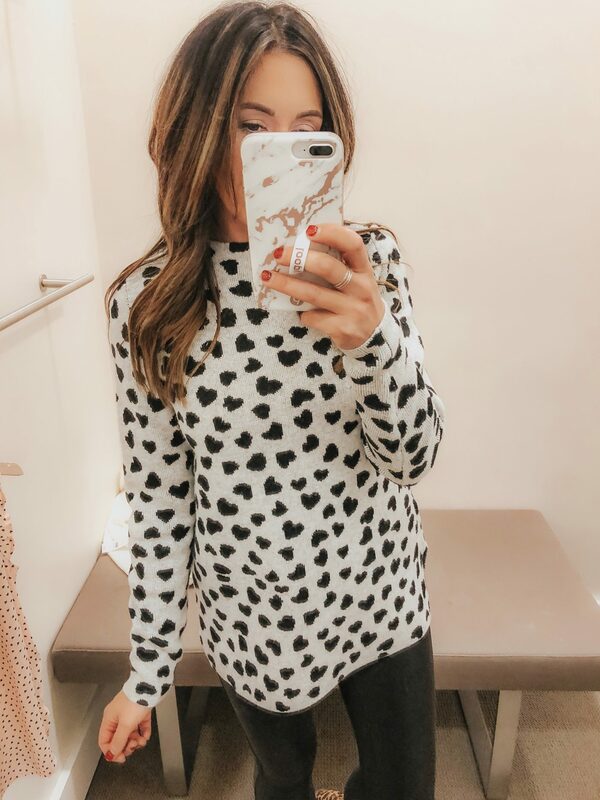 No surprise this super cute sweater made the cut! It’s under $35 and would be perfect for a casual Valentine’s day look. There you have it girls! The most loved and purchased items of January. It was surprisingly a great month for new finds. I know its only the beginning of February, but the spring content is going to start coming at you! Im sure we could all us a little sunshine at this point! Thanks for stopping by.